Romanian football bears the stamp of a sporting movement pilloried by a generation or more of the most egregiously infectious corruption. The passage of time has sugared the pill a little â€“ the match-fixing practices that spawned semi-legal cartels in the chaos that followed the collapse of communism have eased their vice-like grip on competition in the domestic Liga 1, and the admissions made by high-ranking personnel as far up the chain as former Professional Football League president Dumitru Dragomir in 2004 regarding the systemic nature of malpractice marked a demi-baptism for a new era in the Romanian game, tinged as it was with pathos over a wretched past. But genuine reforms have never materialised, in spite of the talk, and this week the PFL welcomes into office a new president whose reputation for underhand practice rivals anything seen in the Blat match-rigging circles of the 90s, just months after the owner of league heavyweights Steaua Bucharest began a three-year jail term for defrauding the state. 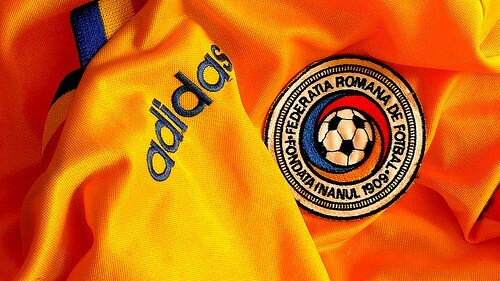 The hands in which the future of Romanian football rests are used to dealing out of sight, and with suspicions rankling throughout the ranks of high office the fear now is for a football community deeply scarred by a culture of self-interest. In business Iorgulescu could be accused of suffering from a scrambled moral compass when it comes to delineating between that which is for the good of all parties and self-serving corporate sabotage, and no organisation will be more cognisant of this than the PFL itself. In 2012 the former owner of Liga 1 outfit FC Nacional was acquitted of charges relating to a deal that saw land sold to the league for three times its market value â€“ land that now houses the FPLâ€™s headquarters – in exchange for a cut price sale of Iorgulescuâ€™s own real estate. His co-conspirator, the recipient of a $32,000 strip in north Bucharest and also acquitted, was, astonishingly, Dragomir, who went on to remain in office during the four years that elapsed from the charges first being brought against him. The National Anti-Corruption Directorate, prosecuting, said of the verdict: â€œThe League has acquired the buildings concerned violating the LPF statute by paying $355,000, an overvalued price, given it was thrice higher than the price on the free market in that area at the time.â€ Neither accused party has made an active denial of the figures quoted by the NACD, leaving the football community to reflect on a change in leadership that promises little other than a continuation of the collusions between the judiciary and football power-brokers that are keeping the gameâ€™s governance mired in secrecy. The affair is eerily reminiscent of a case involving another of Romanian footballâ€™s most prominent figures, the disgraced former MEP and owner of league champions Steaua Gigi Becali, who was convicted in May on charges relating to another suspect land deal, this time involving the Ministry of Defence. Between 1996 and 1999 Becali rigged deals with the MND over land that had been part of the state-owned â€˜Red Farmâ€™ of the communist era, costing the state somewhere in the region of $1m. The gains made by Becali became the foundations of a real-estate empire which in 2003 helped fund his majority stake in Steaua, a portfolio he still holds in spite of the conviction won against him, though the club have had little to say on the subject of their impeached owner. But then Becaliâ€™s sentencing represents for Romanian football little more drastic than another dropped stitch in a tapestry that has been unravelling for a generation. The depth of the problem is breath-taking. In April 2012 eight club owners and refereeing chiefs from the professional ranks were acquitted after a protracted struggle with the NACD over fraudulent transfer dealings and tax evasion, and national team boss Victor PiÈ›urcÄƒ received a one-year suspended sentence earlier this year alongside Becali for his role in a match-fixing racket involving illegal bungs being paid to players at top-flight outfit Universitea Cluj. No corner of the game it seems, from administration right down to the dug-out, is safe from the insipid threat of financial and sporting malpractice, and the legacy of Blat (literally â€˜doughâ€™) match-fixing that saw club owners in the 90s openly divide up portions of the season into wins and losses based on a â€˜share and share alikeâ€™ favour-giving scheme still dictates attitudes. If Iorgulescu has designs on a new beginning for himself and for the league his first headache will be choosing a place to start.